Way back in August, I won a craft beer weekend at Swan's Brewpub in Victoria as part of Miss 604's Backyard BC contest series. It had been a few moons since my last beer adventure, so by the time I got around to planning this one, I was raring to go. I’m going to be honest - Victoria’s never been at the top of my travel list. I’m a bit too old for Jagr bombs with UVIC students, I’m not really a tea-at-the-Empress-with-grandma type and whale watching is way out of my budget. But after this trip, I can officially declare that it’s won me over. As it turns out, Victoria is more than students, seniors and stalking sea mammals – it’s charming, friendly, sunny and chock-full of craft beer. And I didn’t even have to do a single Jagr bomb. 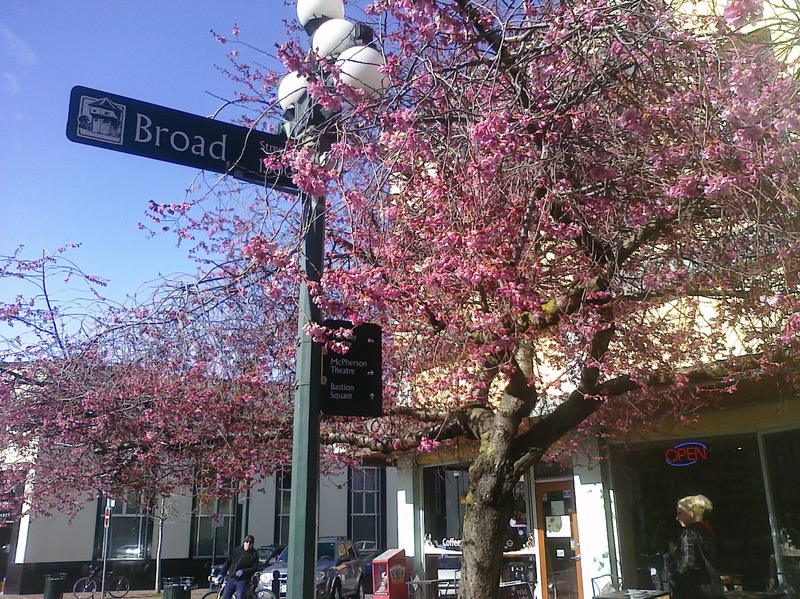 With my accomplice Mike in tow, I arrived on Saturday afternoon to find that apparently it was already spring in Victoria. 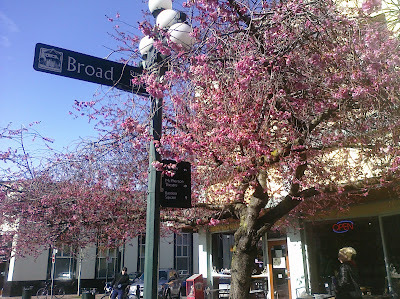 The sun was out, the streets were full and cherry blossoms were in bloom all over the damn place. That, combined with all the great beer we could practically already taste, had us smiling already. When we saw our loft-style hotel room at Swan’s Brewpub and Hotel, we were feeling pretty damn good. Full kitchen, fireplace, private patio and king size bed underneath a huge skylight? Yes, please. Oh, and did I mention the hotel is also a brewpub? 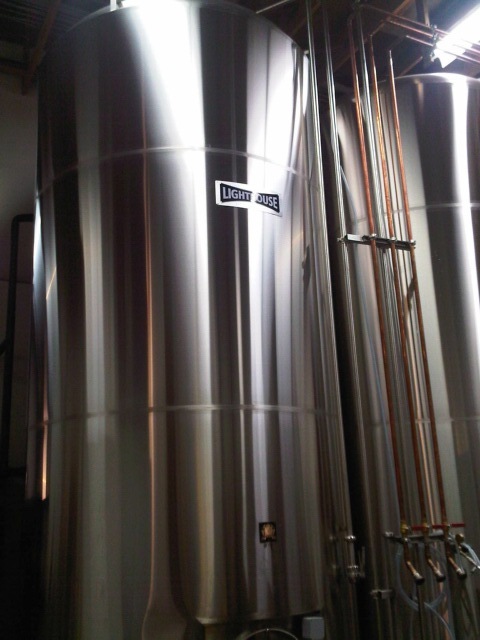 That’s right, fresh beer just a short elevator ride away. Dangerous? Yes. But also awesome. 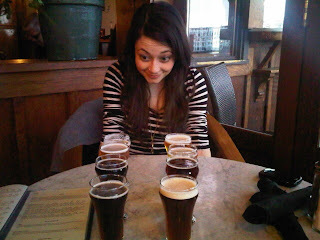 After dumping our bags and some more marveling at the skylight, we were ready to head out on part 1 of our beer tour. If you’re staying downtown, a walking craft beer tour of Victoria is totally doable: in a day if you’ve got your drinking pants on, or split into 2 days if you’ve got time like we did. A word of advice though: if you’re doing a tour, plan for Friday and/or Saturday. Don’t assume that just because it’s the year 2012, everything will be open on Sundays. Or Mondays. We missed out on a couple of stops for this very reason. 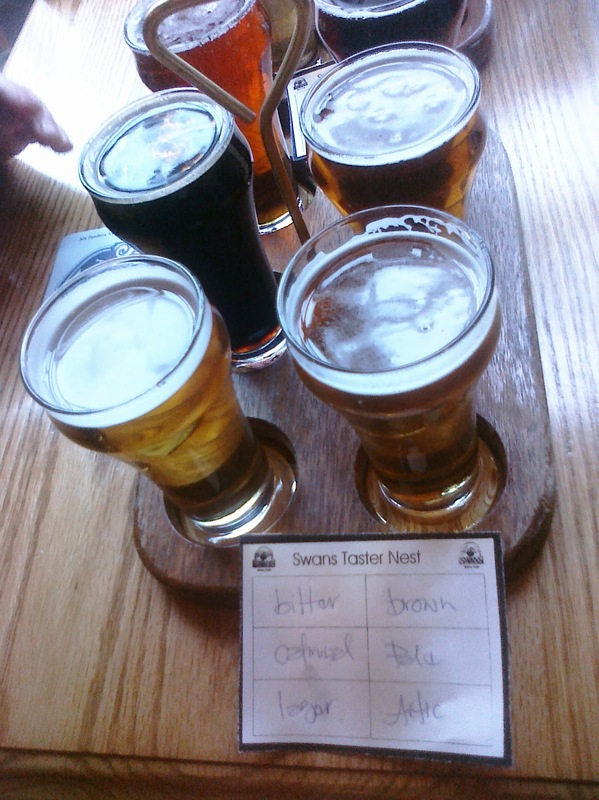 Since we were staying at Swan’s, it seemed like a logical place to start. We ordered our 12 tasters, which gave us exactly enough to try their regular lineup, plus all their seasonals. I'd tried their beer before, and it didn't disappoint this time either. A short walk over the bridge that connects downtown Victoria and West Victoria (or Esquimalt) is Canada’s oldest brewpub, Spinnakers. Fairly unassuming from the outside, an unexpectedly large space inside combines the positive characteristics of an old-timey tavern (lots of wood, lots of little nooks and crannies) with a surprisingly bright and open layout. We tried as many beers as we could get with two taster paddles, and came to the same conclusion: the pale ale was the stand-out brew. I made this face a lot this weekend. I’ve put this one as optional for two reasons: one, it’s a significant distance away from the rest of the route (about an extra 30 minutes of walking) and two, they don’t usually offer public tours. But since it was a nice day, we decided to take the walk and our chances of being able to take a peek. It turned out to be a worthy gamble, because we were able to snag regional rep Wade for a quick tour after all. We got to check out the brewing process, taste the new Switchback IPA straight from a fresh keg (delicious) and hear about the 10 limited releases they’ve got planned for this year (promising). Their Imperial Pilsner was one of my favourites from last year, and the Belgian Black was fantastic, so I’ve got high hopes for what’s to come from these guys. I knew that Lighthouse was environmentally conscious, but I had no idea how far it went. Turns out they’re actually running a zero-emissions brewing process, which is pretty damn impressive. They’ve definitely set a new standard for the industry, and hopefully others will start making changes to follow suit. I’ll admit – I never thought to check if a brewpub would be open on Sundays or not. 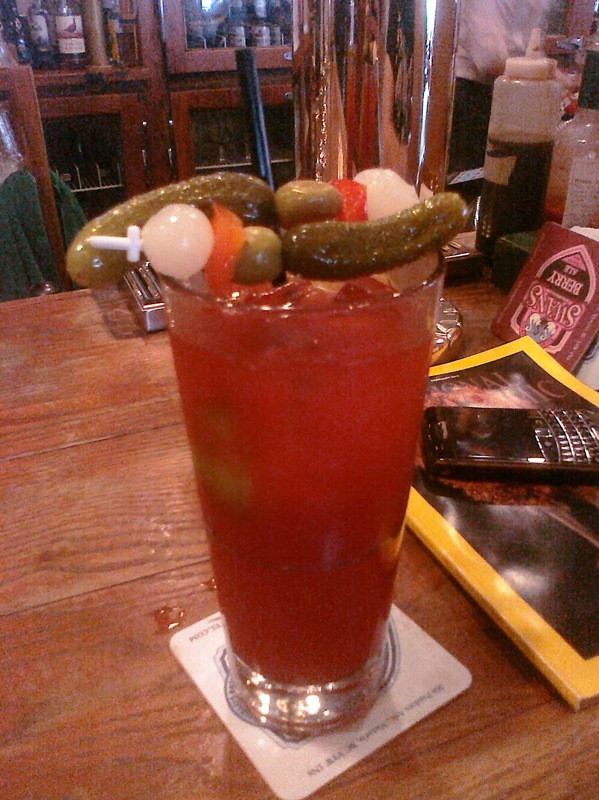 I can’t think of many places in Vancouver in the business of serving booze that aren’t that aren’t open Sundays – for most people I know, Sunday drinks are nothing out of the ordinary (caesars with breakfast anyone?). Which is why I was pretty surprised to arrive on the doorstep of Moon Under Water to a locked door and “closed” sign. I was pretty bummed to miss out on trying their sessional brews. Although it looks like they have longer hours in the summer, so you may be in luck if you show up on a Sunday in July or August. Our next stop didn’t fare us much better. Hoyne is open to the public for tours/tastings/growling fillings – but only Thursday-Saturday. Luckily their beers are easy to find around Vancouver, and I’d already tried all three of their offerings. Next time I go over I’ll definitely stop by for a growler though. Lesson learned: Sundays and Mondays are not prime drinking days in Victoria. Driftwood is smack dab next to Hoyne (and for those who aren't from Vancouver/live under a rock, they make fantastic beer). They’re not currently doing any public tours or tastings, but I’ve included them because according to the two guys we talked to outside, they’re supposed to be starting them up sometime soon. Just a few blocks down from Hoyne and Driftwood, Phillips operates their brewery and small store front, which is basically a growler-filling station that also sells bottles and merch. 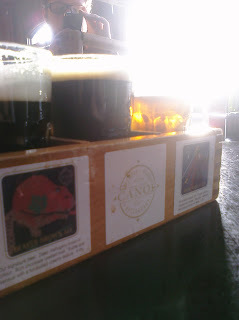 They don’t do “tasters” per se (there’s no seating), but you can try out beers before you buy. My advice: fill up a growler, since at this point your tour’s almost done. After all, you’ve got that private patio back at the hotel to drink beer on, remember? We snagged two: one Dunkel and one IPA. With its waterfront location and huge, vaulted ceilings, Canoe wins hands down for atmosphere. We sat in the lounge and started with a taster. I was a fan of their seasonal, an Espresso Stout. The amber ale was also tasty. The eats were great too (more than one veg offering, yay!) – definitely a good place to fill up after a long day of walking/drinking. And only a short stumble back to Swan’s! And thus concluded our craft beer tour de Victoria. The great thing about this tour is it’s a big circle, which means you could do it in reverse if you wanted to. Or just do half of it. Or do it twice. Really, the world’s your oyster when you’re drinking craft beer in Victoria. DD? Who needs it. If you’ve got a decent pair of walking shoes, a hardy liver and a backpack that can carry a growler, you’re set. Thanks again to Miss 604, and a huge shout out to Swan’s for their fantastic customer service – your front desk staff rules!